After 12 years living on a beach in Goa, summer winter and monsoon I arrived back in the US and landed like a refugee on my parent’s doorstep with three children and not a penny to my name. I had just been through a cataclysmic divorce and was a tad run down. My long suffering parents got the kids into school and all of us went to the doctor. My father took me to see his dentist who x-rayed my teeth. I was proud, as an American, to have always taken care of my teeth. Every time I had felt that there was something wrong, I had gotten myself to a dentist of some kind. (I even once went to a dentist who had an old foot pedal drill!) My father’s dentist said that all my Indian dental work was sub-par. “Look,” he said, showing me the x-rays, “See how round and irregular these fillings are. In the States we do nice squared off fillings. You should get these all redone.” So I got eight amalgam fillings drilled out and replaced with more amalgam: no rubber dam, no suction, no oxygen….no nothing! What a hack! He didn’t protect himself, either. He is probably dead now. Back then, I did not associate the two events, but at the same time this happened I had a nervous breakdown. My world fell apart and I was suddenly filled with grief and for no particular reason. I wept non-stop for about two weeks, or perhaps it was a month, and then I got better and forgot about it. I was new to the U.S. medical world, but this, on the face of it, did not make any sense. In India I had often used homeopathy and acupuncture with great success. I decided to take a look around and see if there was any thing out there other than alpha-interferon, one of which’s side effects is “suicidal depression.” Indeed there was! I worked with a chiropractor/nutritionist that I met in the supermarket. After a few months I was much better. The liver specialist, looking at my labs said in a bemused way, said “Perhaps this is going to resolve on its own.” He had absolutely no interest in finding out what I had done to get better. So I continued on with my life. My liver enzymes were in the high normal range but I was still tired all the time and often depressed and on Prozac. I thought it was because I was under a lot of stress, which I was. I was going to lots of doctors of all sorts and taking handfuls of supplements. A mammogram found a small breast tumor and I had surgery and radiation and got really scared. I consulted with a famous chiropractic/neurologist who charged $800 just to talk to me. He told me I had some kind of weird neurological disorder that people get who are under unrelenting stress. Well, I was in the process of getting sued, getting divorced and going bankrupt so that made sense. By that time I was spending around $500 a month on supplements. Finally this doctor diagnosed me with heavy metals. He put me on a bad chelation protocol with my amalgams still in my mouth. I started getting grief attacks again, weeping for the slightest reason. I could start to cry while watching advertisements on TV. I became “the client from hell,” not getting any better and starting to complain about the cost. Fortunately, I stopped chelating this way. A coworker who had done a heavy metal detox told me that this doctor was giving me bad advice. My original chiropractor was pretty horrified, too. I had more cancer, more surgery and radiation, two hip replacements and gall bladder surgery. I started reading on the internet and ordered Andy Cutler’s books and read them. 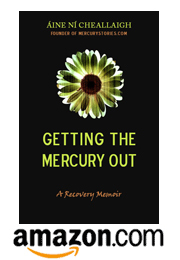 I decided that mercury was the “unified field theory” behind what had been wrong with me all these years: the hepatitis, the parasites, the candida, the cancer, the gallstones, the arthritis, the depression, the memory loss, the insomnia, and the constant fatigue. I got my amalgams removed appropriately and started chelating as per Andy’s protocol and taking the supplements he recommends. My body changed size (favorably), my skin started looking beautiful, my hair became thick and glossy and I started looking ten years younger. Then, while I was in the alpha lipoic acid phase of the detox, I started getting horrible pains in my gut and had a relapse, after 25 years, of Hep C. As soon as I stopped the lipoic acid, the symptoms went away and my liver enzymes started to trend down again. I went back to the dentist and removed five crowns and found amalgam under two of them. Now I am back to chelating again and proceeding rather cautiously, to be sure. This world of ours is full of good and beautiful things…and all kinds of problems, too: global warming, social injustice, corruption and greed… old age, sickness and death (as the Buddhists point out.) You can take your pick where you want to help. I have always wanted to help people with their health. I look in their faces and think, “Gee this person is struggling. I wonder what they could do to get better.” I used to think they all had food sensitivities and parasites, but now when I look at their pale faces and tired eyes, I try and get a gander at their teeth. They have lupus, MS, Fibromyalgia, MCS, autism, Alzheimer’s disease and they are suffering horribly from emotional and psychiatric problems. They have all these things that nobody can figure out and just treat for symptoms. Well I think half the time, maybe a great deal more than half the time, it’s mercury. The bad news is that one of the symptoms of mercury is a kind of paralysis that can keep people from acting to help themselves. The bad news is you have to get your teeth cleaned up which can be really expensive. The good news is you can get better, and it is not hard, and it is not very expensive either. My website is rebeccasamanci.com, where I am going to be doing a web blog about my chelation “journey.” I also coach people in how to do the Andy Cutler protocol which I have decided is the only safe way to get this hideous poison out of your body. Rebecca Samanci was born the daughter of a US Foreign Service officer in Lower Hutt, New Zealand in 1948. As a “Foreign Service brat” she lived all over the world. She attended the Immaculate Conception School in Kingston, Jamaica; The Peabody School in Cambridge, MA; Calvert Correspondence School (taught by her mother) in Reykjavik, Iceland; The International School in Brussels, Belgium; The European Community School in Brussels, Belgium; Chatham Hall in Chatham, Virginia, and Middlebury College in Middlebury, VT where she majored in French. She lived in India for 12 years, mostly in Saunta Vaddo, a fishing village in Goa. Her three children were born in Mapusa, Goa. She now lives in Burlington, VT, is a student with Integrative Nutrition Institute and specializes in coaching people with “mercury issues” using the Andy Cutler chelation protocol.